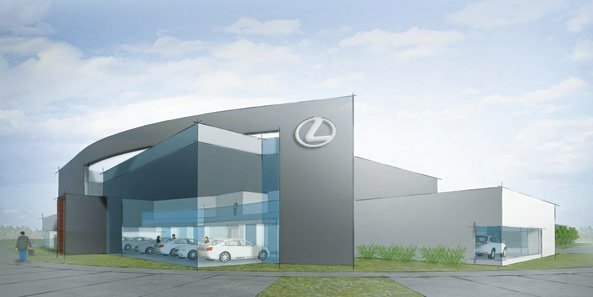 Lincoln Lexus, operated by the Anderson family, will move from its current location on North 27th Street to an eight-acre site at 40th and Yankee Hill Road, in Lincoln, in the fall of 2015. Construction on the approximately 30,000-square-foot showroom and office/service facility will begin this autumn. The dealership has outgrown its current space, and the new location is better situated to serve the dealership’s clientele. The Anderson family owns the Performance Auto group of dealerships, which have been “Locally owned and operated since 1958” as Baxter, Performance Auto, Lexus and others. The company represents 17 dealerships in five cities: Omaha, Lincoln, LaVista, Bellevue, and Kansas City. Automotive News ranks Performance Auto number 31 in size, according to number of units sold. Investors Realty has represented the Anderson family for more than 25 years. Steve Farrell, CCIM, SIOR, and Pat Regan represented the company in this purchase. Investors Realty, Inc. Celebrates its 39th Anniversary!